Heeft u een vraag voor Cozy Boutique Hotel? 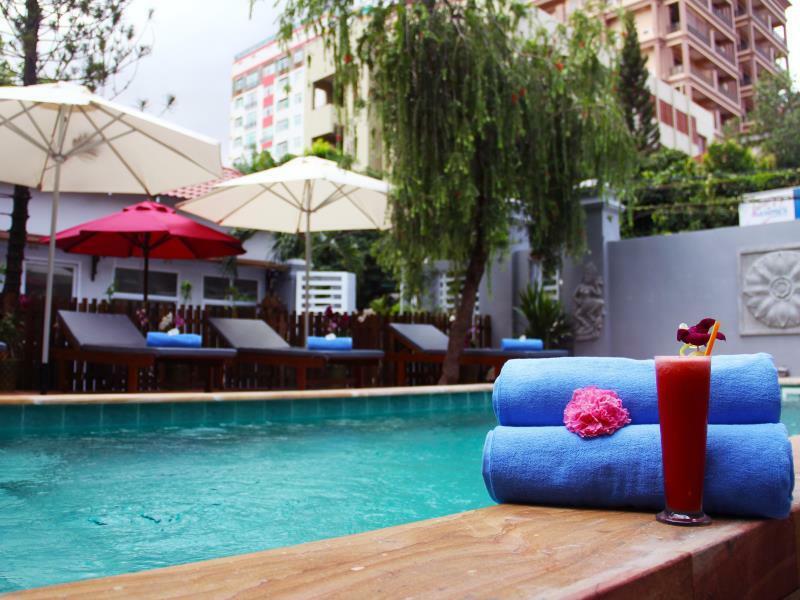 Cozy Boutique Hotel in Chamkar Morn, Phnom Penh is een populaire keuze onder reizigers. Op slechts 14.5 km afstand, kan dit 3-sterren hotel eenvoudig worden bereikt vanaf het vliegveld. Dankzij de praktische locatie liggen alle belangrijke trekpleisters in de buurt van het hotel. Het Cozy Boutique Hotel biedt een onberispelijke service en alle essentiële voorzieningen om reizigers een plezierig verblijf te bieden. Terwijl u verblijft in deze geweldige accommodatie, geniet u van faciliteiten als gratis wi-fi in alle kamers, 24-uur beveiliging, ticket service, taxi service, 24-uur receptie. Het Cozy Boutique Hotel beschikt over 12 kamers, allemaal smaakvol ingericht voor optimaal comfort, met voorzieningen als plasma tv, kledingrek, oploskoffie, thee, beddengoed. Het hotel biedt geweldige recreatiemogelijkheden die uw verblijf onvergetelijk zullen maken, zoals zwembad (buiten). Het Cozy Boutique Hotel is een slimme keuze voor mensen die reizen naar Phnom Penh: een ontspannen verblijf is gegarandeerd. Vriendelijk personeel. Hoet zwembad is op de foto's mooier, maar alsnog best fijn. Let erop dat je een kamer met raam hebt want zonder raam is het toch wat bedompt. Er zijn gelukkig bijna geen muggen. Met een tuktuk is alles bereikbaar. Het hotel ligt in een goede wijk. De mensen van het hotel zijn aardig en helpen je heel erg. Ontbijt is simpel maar goed. Heb hier prima verblijf gehad! Aardig personeel, prima ligging en ook nog een zwembad met handdoeken. The room was a bit run down and smelled a bit musty, but totally had everything I needed for one night stay. TV, Cable, Hot water pot, Fridge, and comfortable bed and pillows. If I was to stay longer I would may have requested another room. I didn't have time to try out any facilities such as the pool, but it looked nice. Small hotel, it deserves a 2 or 3 stars. No breakfast, pool really small but nice, the staff is really nice and helpful. I gave some laundry to them, when it came back it was smelling really nice but I realized it was not really clean... 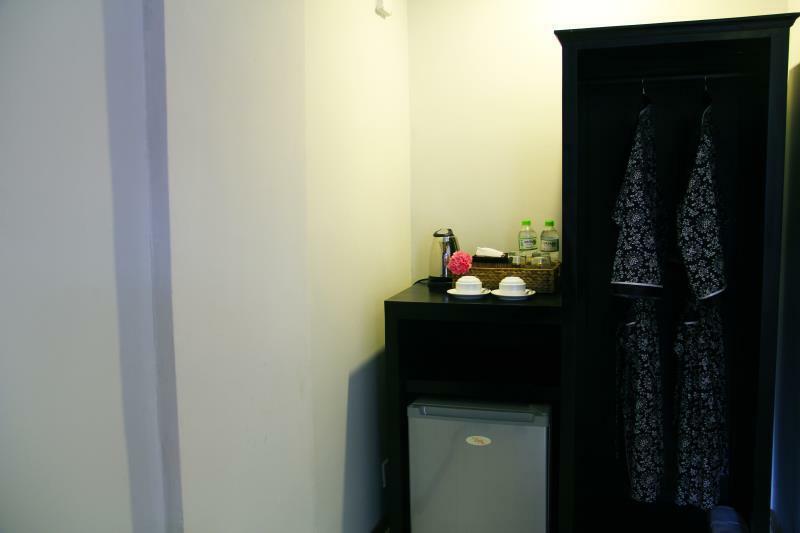 The room à was really spacious and clean, with a safe, a minibar. The bathroom is like everywhere in Asia, small and one same place for toilets and bathroom, no real shower. The location is OK, not really close to any attraction but it's easy and cheap to get a local remork to go to main attractions. Overall good value for money, even if the common areas are a bit different from the impression the photos gives. I planned to swim but the pool not working at night. If can swim until 9pm much better. And very small incovenience is next to the Primary school then a little bit noisy morning time. Others are ok. Will recommend my friends. 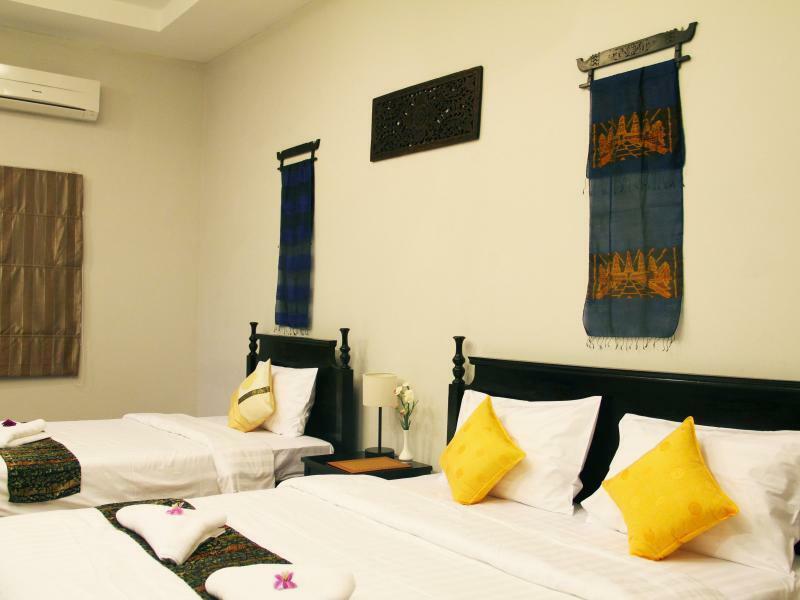 The location of the hotel is close to the Tuol Sleng Genocide Museum (10 minutes walking), there is a market on the corner and several restaurants around. 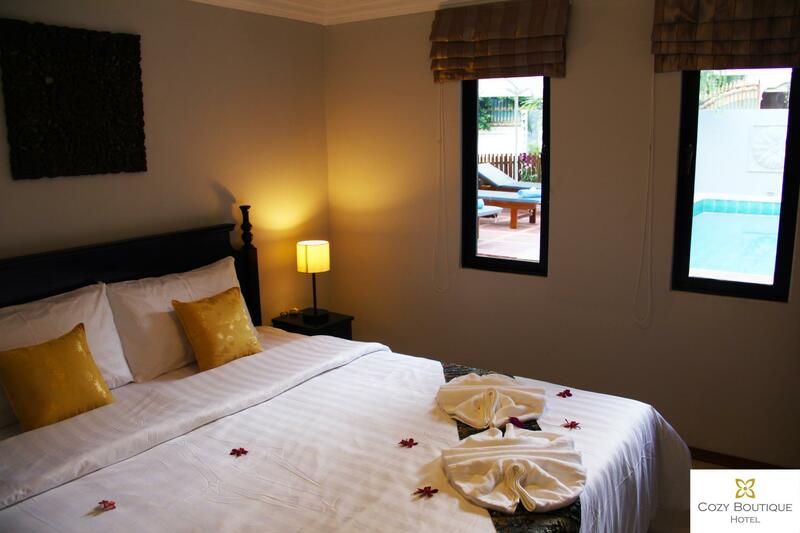 The room is large and comfortable, the shower is great and the wifi too. There is an electric thermos in the room and staff replenishes coffee and tea daily. The pool area is also nice! I had a great time there. Dear Karine, Greeting from Cozy Boutique! Thank you very much for your kind review, we are looking forward to seeing again. 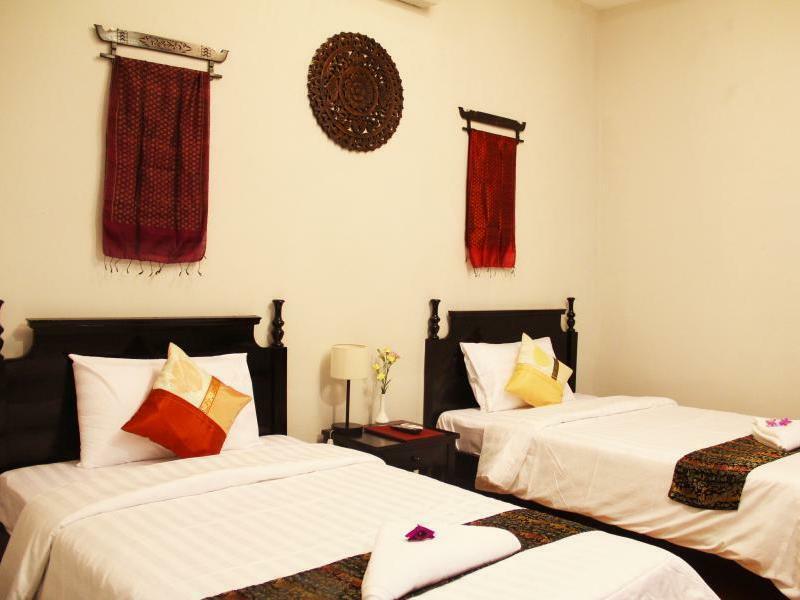 This is a small and quiet hotel within walking distance to most of the highlights of the city. Staff are great . Cozy is in the heart of the hip BKK1 district, where one will be spoilt for choice for good international food and entertainment. There is a well-stocked 24 hour super-mart diagonally across the lane from the hotel, a rarity in PP. The hotel itself has a small pool (5 m) good enough for a soak after a dusty day out in the city. I was unfortunate to have the last double-bedder in the establishment... the room (115) behind which has a window facing a service alley. A bit noisy, especially on rainy nights, but for the price I paid, I can't really complain. 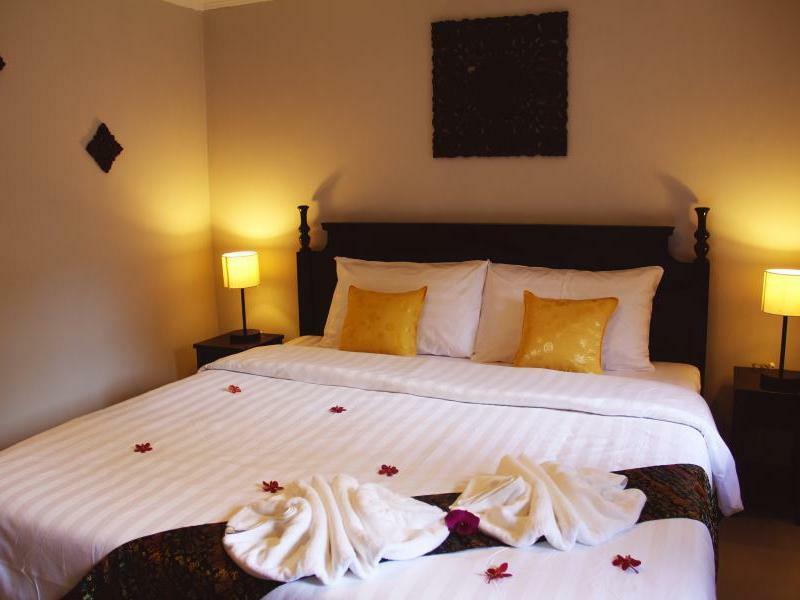 Great bed, strong shower, in-room safe, mini-bar and coffee-tea making facilities. 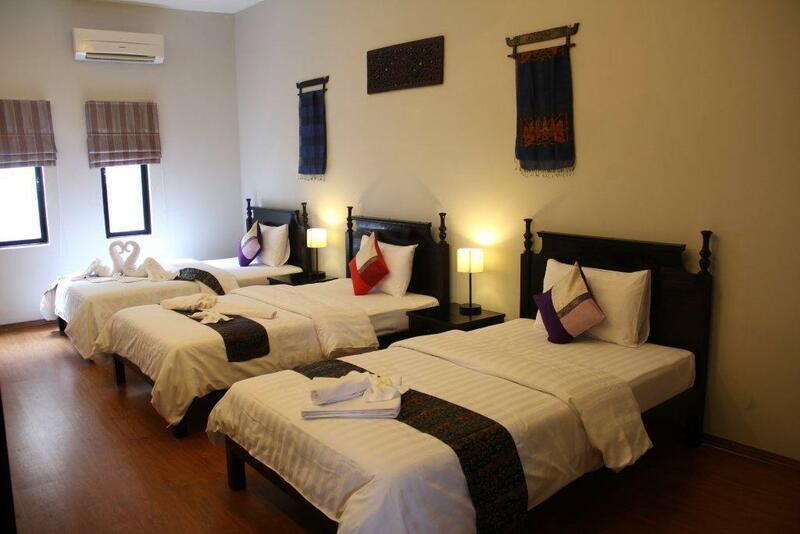 Staff were friendly, clean room, feel comfortable when I went in the room. Have a good night sleep. The only thing I would like to say was the breakfast is just bread and sausage/ham. Maybe can change everyday like to porridge or friedrice fried noodles or some other food.? Great young staff ,always smiling and keen to help. Rooms were small but very clean, as was all of the hotel. Pool was a bit small, but good for a dip. Great stay. Note building works next door. But not very loud, and only daytime. Highly recommend. Staff are friendly and helpful.. but the place looks old and not well-maintained. Toilet bowl won't flush and the bathroom drain smells bad. Bedsheets seemed dirty and felt itchy we weren't able to sleep well..Pool looks way smaller than what the picture shows. Cozy Boutique Hotel cancel my order , and they did't contact me , i need to find another hotel on 12/31, I was very embarrassed.. The room is clean and bed is comfy. However, the bathroom is small and no space to shower. If you are using the toilet bowl, you are unable to shower and vice versa. When I saw the photos of this hotel I thought I would stay in a clean and nice place, but the pictures don’t show the reality, they don’t even get closer! The place was full of dead and alive flies / mosquitoes (even inside the shampoo and shower gel dispensers! ), the cleanliness was awful, the facilities were poorly maintained. We stayed only for 1 night and not 4 nights as I have planned and booked, thankfully I didn’t pay anything in advance and the hotel just charged me for one night (USD 22) when I informed them that I was moving to a different hotel. By the moment I communicated them that I was leaving, I was told that the night staff did a mistake and we where allocated the wrong room but, when they offered me a different one, it was as bad as the first one. I wouldn’t recommend this hotel. Location seems to be in a quieter location/richer area which was lovely. So many restaurants and cafés etc to eat at. The staff wonderful and kind. The room itself was fantastic, fridge, working AC, comfy beds, kettle, safe and hair dryer! Pool was a bit dirty so wouldn't go in even if the weather had been nice enough, but they may have not cleaned it for that reason.